He works against the illegal wildlife trade, saves tiny sea creatures from oil spills and even volunteers to get large, lost monitor lizards out of people's bathrooms for free. But surrounded by students and staff sporting identical T-shirts and jeans, Mr Louis Ng of the Animal Concerns Research and Education Society (Acres) at first glance looks more like a camp counsellor or school adviser. At Jalan Lekar near Choa Chu Kang, the headquarters of the animal group he founded is a hive of youthful activity. Students from Anglo-Chinese Junior College are clipping the grass, interns from overseas institutes are cleaning the common area and more young people from Singapore Polytechnic are straggling up the 1km walk from Sungei Tengah Road to prepare for a talk they are giving schoolchildren on animal conservation. The 31-year-old executive director of Acres beams proudly at the industrious youth as he shows this reporter around the society's one-year-old animal rescue centre. 'We couldn't do any of this without our donors and volunteers,' he says, pointing out the public education hall sponsored by the Lee Foundation and decorated with murals designed by students from Admiralty Secondary School. Dogged by four canine pets belonging to Acres' staff, we walk past the administration building and the volunteer housing with five bedrooms and a lounge to let visitors spend more time at the centre. The only place off-limits is the quarantine block, which houses more than 20 recently rescued animals, including an iguana missing its lower jaw. All are being treated before they can be returned to their native countries or habitats. Mr Ng sits down at the outdoor staff area, his pet Pomeranian Penny at his feet. Rescued from a puppy farm, she has a deformed hind leg, walks with a limp and is still shy with strangers. Her owner gets up to shoo away a pigeon that keeps flying in to roost on the sofa next to his chair. 'Winkle knows it's not supposed to come here,' he says, clamming up when asked about the animal's history. 'I really don't want to talk about it,' he repeats several times. It appears to be a painful story, one of many sad experiences he has had in Acres' nine years of trying to help animals injured by accident or the illegal wildlife trade. He has watched a starving bear die in Laos and coaxed a wild monkey out of the trauma of captivity in Singapore. Tales such as these come out in poignant bursts as he speaks about the non-profit charity's activities, which range from raising awareness on animal issues to going undercover to survey the business of selling endangered animal species for pets or parts. He and other members at Acres are on call 24 hours a day. They baulk at nothing, whether it is taking a trapped python out of a construction site as they did two weeks ago or working from dawn to dusk last month to rescue sea creatures from the oil spill that hit Changi Beach. On the day we chat, Mr Ng's wife, Britain-born zoologist Amy Corrigan, 32, is on a 'sensitive' undercover operation somewhere in Asia and he refuses to reveal further details. A mutual passion for wildlife is what brought them together five years ago, while he was at a rescue centre in Thailand. Ironically, this shared concern often keeps them apart. Acres' animal protection programme, especially rescuing wildlife locally, takes up most of the between $500,000 and $600,000 the society needs a year. It is mainly funded by donations and qualifies as an institute of public character, so donations to it are tax-exempt. Statements of account are available at its website. Its 11 full-time staff work for salaries starting from $500 a month. Mr Ng, who has a biology degree from the National University of Singapore (NUS) and a master's in primate conservation from Oxford Brookes University in Britain, earns $1,600 monthly; his wife, $300 less as director of education and cruelty free living. They live 'a simple life' in an HDB flat in Jurong West and 'don't go out drinking or clubbing'. Grants and donations keep the rescue centre in operation and Mr Ng feels that support has been growing, even though some months are tight. 'The bulk of our donations is the $5 or $20 from the man on the street,' he says. The society's supporter database has more than 14,000 people and most are responsive to requests for funds and help. Acres' sole van, used to transport animals and equipment, broke down on the day of our meeting and an e-mail to supporters netted almost $2,000 in individual donations within hours. People also contribute in other ways. In the first few months of this year alone, hundreds of new volunteers, many from local schools, have spent more than 3,000 hours helping the society spread awareness on animal issues and maintain its premises, among other things. Acres' 24-hour rescue hotline now also receives calls almost daily to free wild animals that wander into homes - calls that might otherwise be directed to pest control agencies or exterminators. A day before our chat, Mr Ng helped a monitor lizard out of a house in Holland Road. The woman who called for help was terrified of the beast but did not want it to be killed. 'She even gave us a donation for coming down,' he says, smiling. The public is also keeping an eye out for signs of illegal wildlife trade, such as the sale of bear and tiger organs used in traditional Chinese medicine (TCM). According to a June 3 Straits Times report, 'Probe into illegal sale of bear parts', for example, a tip-off to Acres led the Agri-Food and Veterinary Authority (AVA) to investigate a trader at the Singapore Food Expo who was allegedly selling bear gall bladders. 'We are not just trying to help animals but also start a movement,' says Mr Ng, who does not want people to love animals as much as to recognise that some practices involving them are inhumane. He has his detractors, with people calling the Acres hotline to defend their use of illegal animal parts or having unknown elements splash his door with red paint last year. 'That only tells me I'm doing something right,' he says. But he is keen to stress that he believes in 'partnership, not confrontation'. 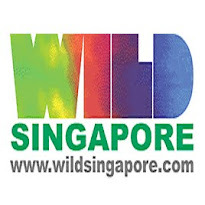 In 2007, Acres signed a deal with the Singapore TCM Organisations Committee to launch a scheme to help end trade in products from endangered species. TCM shops committed to not selling such items get a special label for their shop windows. He also takes a large stuffed bear in a cage on roadshows to the heartlands for an in-the-face demonstration of the inhumanity of keeping Asiatic bears in tiny cages and milking them for their bile. This sort of drive is what has gained him the respect of animal welfare workers, including Ms Deirdre Moss of the Society for the Prevention of Cruelty to Animals. Chimpanzee changed his life Obstacles or opposition rarely faze Mr Ng for long, says Ms Anbarasi Boopal, 27, who runs Acres' Wildlife Crime Unit. 'All of us (Acres' staff) see him to solve problems immediately,' she adds. Two years ago, she learnt that a neighbour was keeping a hornbill and an Indian star tortoise illegally. After getting in touch with Acres, she was so moved by its work, she left her job at another non-profit group to join it full-time. She lives on the premises, as do two other staff members, and earns about $1,000 a month. 'It's not that bad, as we provide board,' Mr Ng jokes. But neither he nor his staff are in it for the money, a fact that gave his parents a few tough moments when he first told them his career plans. He is the younger of two children and his sister is a dentist. His father, sales manager Robert Ng, is fully behind his son, though he worries about the younger man's future. 'I always tell him he cannot live on such things,' says the 62-year-old, who often urges friends to donate to Acres. He is content that his son is doing what he enjoys most and is somewhat reassured by the fact that 'Louis is not the only one' and there are other people committed to animals for little pay. His wife, retired civil servant Angela Quek, 61, says their son has loved animals from a young age, was passionately devoted to his pet hamster and even wanted to be a vet when younger. Still, his decision to do biology and then devote himself to animals came as a surprise. Her son recalls that this same willingness to make sacrifices caused his mother some uneasy moments when he was in his early teens. After watching the 1988 movie Gorillas In The Mist, about the life and work of the late primate scientist Dian Fossey, he told her that he 'wanted to grow up to be like Dian'. 'My mum freaked out because at the end of the movie, Dian was murdered,' he says with a chuckle. His resolve to work for animals was strengthened at age 14, when he watched a documentary on turtles. That year, he gave up turtle soup and then 'a meat a year' until turning totally vegetarian at age 21. While studying at NUS, he volunteered as a photographer at the Singapore Zoo and met the animal that would change his life: Young chimpanzee Rhamba had been separated from her family to pose for photographs with visitors and was reportedly treated roughly by her human caretakers. A tip-off to The Straits Times resulted in a successful campaign for the ape to be returned to her family. The heartwarming sight of baby Rhamba reuniting with her mother left him determined to do more for wild animals. He and eight friends set up Acres in 2001, writing to organisations including the Lee Foundation for money. In the years since, Acres has rescued a rare South African vervet monkey and found it a home in Zambia; started undercover operations that have helped the AVA clamp down on the illegal trade in bear and tiger parts; and, of course, opened its animal rescue centre. A cyan simian is now part of its logo, in memory of past triumphs. But there have been many defeats. 'In all honesty, there are days we want to just give up,' he says, citing the problems that dogged the opening of the animal rescue centre. Set to open in 2007, it was delayed by funding woes and then faced a catastrophe last year. Several new animal enclosures had to be torn down when it turned out that developer error had polluted the ground and rendered the buildings unstable. 'I was in tears,' he recalls. The court has since awarded damages to Acres but he refuses to discuss details. He does reveal, however, that a figure of a pig with wings hung at the shelter for months to remind him that 'this pig would fly' in spite of every indication that it would not. He has also recently begun spending one week a month in Boten, Laos, to set up a shelter for bears that were being farmed illegally for their bile. He receives offers to work overseas but his home and heart are in Singapore and this is where he intends to keep working for animals. He draws strength from his family and the students who visit Acres and tell him how their eyes have been opened to the plight of animals. He hopes that everyone in Singapore would eventually act for animal welfare and adopt animal-friendly lifestyles.